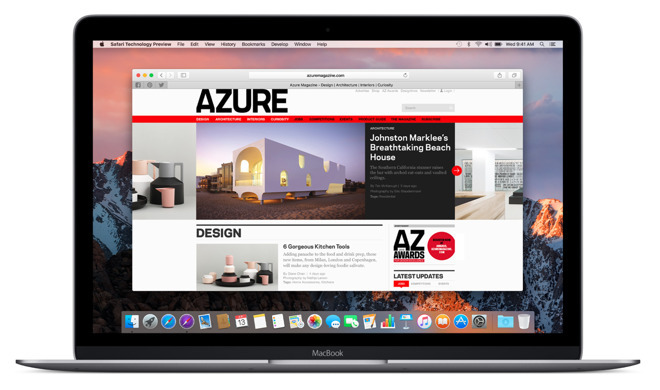 The new version of Intelligent Tracking Protection kills the old 24-hour window that Safari used to keep tracking cookies from sites you visit. Instead, a website can request tracking privileges, but the user has to specifically opt in. If the user allows the cookie, it is deleted after the user stops visiting the site after 30 days of Safari use. If you go on vacation and don't use Safari at all, those days aren't counted. Users can also opt in to permanent tracking, without a 30-day cookie purge. For example, if you subscribe to YouTube Music, the cookies won't be purged —assuming you stay logged into the service and keep using it by actively clicking on a link, using the service, or making an entry in a form on the site. The new Safari also isn't fooled by a "first party bounce tracker" across multiple browser redirects. The quick redirects won't be allowed to deposit cookies at all, and Safari won't log them as having user interaction, nor will it reset any day counter. Widgets or embeds in a website have independent tracking of the site visited. For example, if you watched one of our videos embedded in the corresponding article on AppleInsider, you'd have to grant YouTube permission to deposit a tracking cookie independently if you haven't already. As a result of all this, "federated logins" from social media sites will be less able, or prevented entirely, from tracking a user across the web. With the new Safari, the user can only be identified and request tracking authorization when the user actually interacts with the social media content, like writing a comment or playing a video. So, if you've shopped on Amazon for something, you'll only see related ads if you've granted FaceBook the permission to do so in Safari explicitly. And, if you have regrets after granting one website or another tracking access, the new Safari will retract all granted permissions when the user clears Safari history. Intelligent Tracking Protection 2.0 debuted on stage at WWDC earlier in June, and didn't roll out to Safari Tech Preview testers until Wednesday. It will come to all users on macOS Mojave and iOS 12 in the fall on all devices that support the new operating systems.